For The She’s, San Francisco is home, muse, and playground. They create a type of music that could only be made in California, and it has served them well throughout the state. The She’s have opened for bands like fellow hometown heroes Girls and Thao and the Get Down Stay Down, and are gearing up to play one of San Francisco’s most beloved music festivals, The Bay Bridged‘s and Tiny Telephone‘s Phono del Sol Music & Food Festival. Get to know this band before they take the stage at Potrero del Sol park on July 9. We have a feeling they’re about to ascend to new heights. The She’s started playing music together in 7th grade — a time when most kids are fumbling their way through awkward social situations. That’s not to say they skated through pre-teen nightmares, but they gave their musings a bit larger of an audience than most girls might have. The four members of this beachy pop band have since become the darlings of SF’s local music scene, and it’s not hard to understand why. Singer and guitarist Hannah Valente leads three part harmonies that are wrapped in warm, fuzzy tones from guitarist Eva Treadway, and at the heart of each song is an understated groove by bassist Sami Perez and drummer Sinclair Riley. They cover topics like love, loss, and hanging out at the beach, making their music feel almost like a diary written in pop music form. Together, they’ve captured that distinct California sound on one album and a slew of EPs, the latest being 2014’s Dreamers, which demonstrates a heightened guitar sound from Treadway. 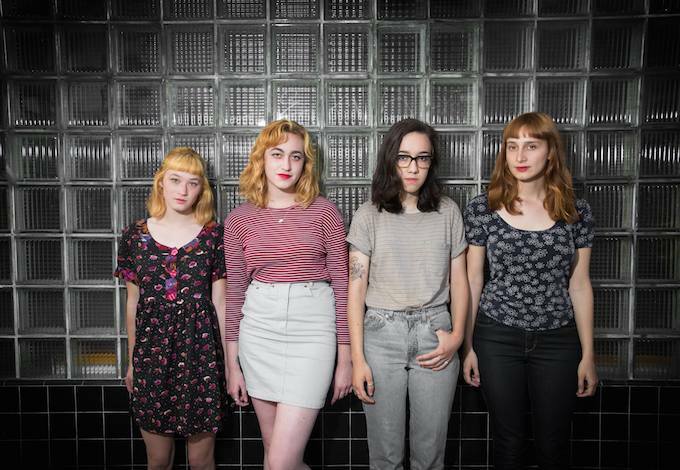 We wouldn’t mind spending a day in the sun hanging out with these ladies, and SF crowds will get to do just that at Phono del Sol alongside other local bands like Hot Flash Heat Wave and The Seshen. Don’t miss out on this San Francisco summer tradition! WHY: Because MUSIC & FOOD!! !